Noodle salad with chicken barbecue prepared by Chef Leo Fernandez and served at the event. 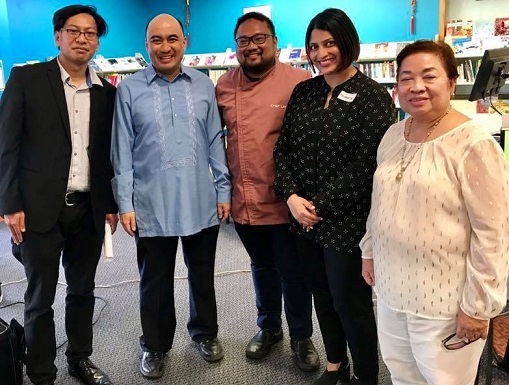 My trip to this green and peaceful country on the far side of earth — known to fans of the “Lord of the Rings” as “Middle Earth” — gave me the wonderful opportunity to join several members of the Filipino-Kiwi community of Auckland, New Zealand at a special literary-and-culinary event. It was the launch of the Mama Sita Foundation cookbooks and special centennial edition book at the Panmure Community Library on October 23. 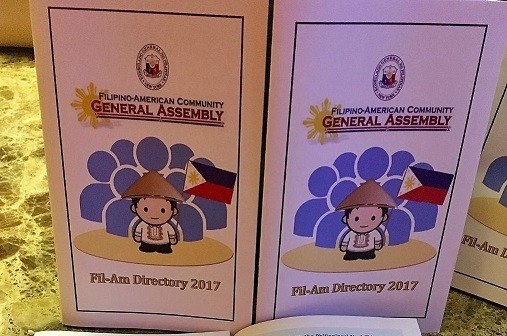 It was also the handover of commemorative stamps to leading FilCom members in Auckland and a New Zealand government representative. 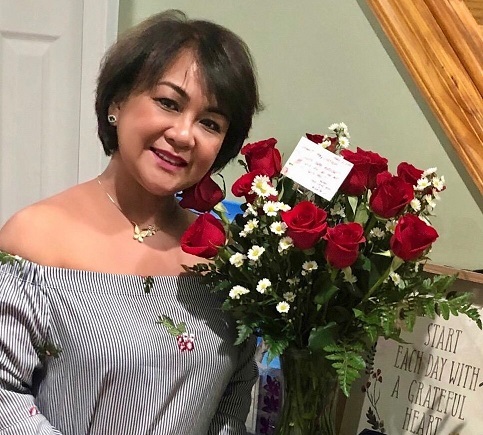 The nonprofit Mama Sita Foundation was founded in 1999 by the late culinary magnate Teresita “Mama Sita” Reyes, who has led several food missions throughout the globe promoting Filipino cuisine. She was born in Manila on May 11, 1917, the eldest daughter of Dona Engracia “Aling Asiang” Reyes and Justice Alex Reyes. Her parents had lived in the trading post-residence of her lola Luisa “Luisang Kare” Garcia Cruz at Divisoria, where she had spent much of her youth. A history and literature enthusiast, Mama Sita’s pride in her country and culinary culture spawned at a ripe young age, when she traveled frequently to different regions around the world to sample various local food. 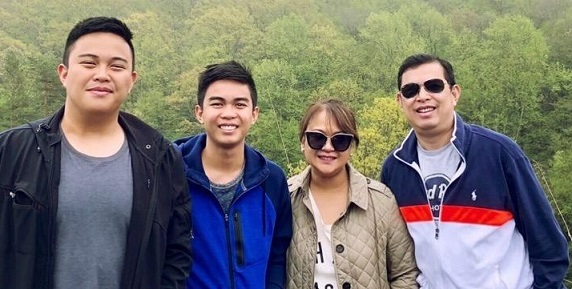 These experiences inspired her to pursue a lifetime career and mission to prove that Filipino food can stand out among the most delectable and tastiest international cuisines. My mother, Mdme. Linda C. Gaa, was my traveling companion to New Zealand. Two years ago, we were invited to a similar launching event of Mama Sita products in Moscow, Russia. We were privileged to again witness another public promotion of Filipino food at a different destination. The author (in blue barong) with, from left, community organizer Carlo Espejo, Chef Leo Fernandez, Member of Parliament Priyanca Radhakrishnan, and Mrs. Linda Gaa. The program went by smoothly and according to plan. 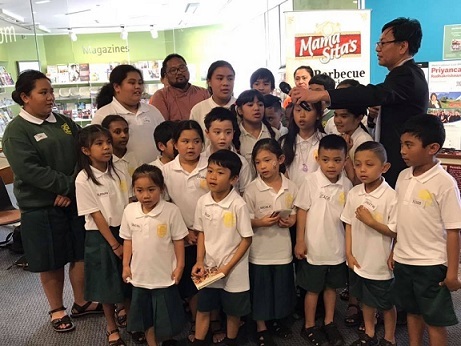 After the singing of our Philippine National Anthem, young Filipino-Kiwi school children attending the St. Patrick’s Catholic School sang the New Zealand National Anthem flawlessly by heart. Deputy Chairperson/Secretary of the Leyte Samar NZ Solidarity Foundation, Inc. Dadai Norman, delivered the keynote, representing Philippine Ambassador Jesus “Gary” Domingo who was unable to attend. My mother was then invited to do the honors of participating in the turnover ceremony of the Mama Sita Foundation’s cookbooks and commemorative stamps. She joined the honorary guests led by Priyanca Radhakrishnan, a Member of the New Zealand Parliament and a Kiwi of Indian descent, who I found to be very keen and humble. I was truly touched and inspired by her statement on how food connects us all regardless of our nationalities, languages and backgrounds. 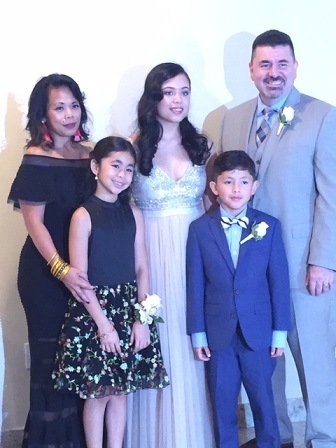 It was heartwarming to hear Priyanca greeting everyone with “Mabuhay” and “Kei Ora,” which is the native Maori meaning for “have life be well.” She also conveyed her love of Philippine cuisine as a result of having much contact with several members of the Filipino-Kiwi community. It was then my turn to partake in the day’s program as the narrative storyteller on the Mama Sita Foundation’s special centennial edition book “What Kids Should Know About Filipino Food,” written by Felice Prudente Sta. Maria and illustrated by Mika Bacani. Sure enough, I could sense the interest of the school children hearing about the history of Philippine food served at fiestas across the nation with Spanish and Chinese influences. The much-awaited food demo of Mama Sita mix and marinade products was led by Filipino-Kiwi Chef Leo Fernandez. 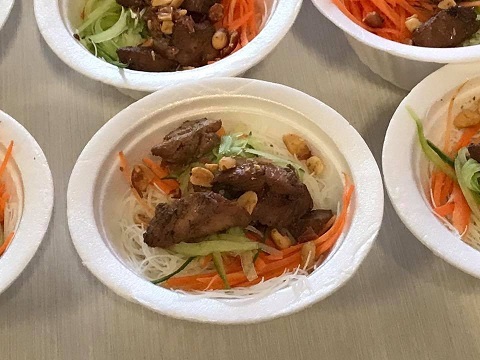 Chef Leo prepared an interesting menu consisting of noodle salad with chicken barbecue, along with pita bread with chicken and vegetable stuffing, and vegetarian pansit guisado. Born and raised in the Philippines, Chef Leo has already played a huge role in highlighting the best of Filipino cuisine when he became a finalist on the New Zealand edition of the reality TV show “MasterChef” back in 2015. Although he fell short of winning first place, the Filipino dishes which he introduced on the show no doubt opened plenty of eyes and appetites to the talents of Filipino chefs. Unfortunately, I did not spot any Pinoy restaurants at any of the cities I traveled to during my trip to the country. Filipino-Kiwi school children from St. Patrick’s Catholic School.